Valentine's Day is next week. 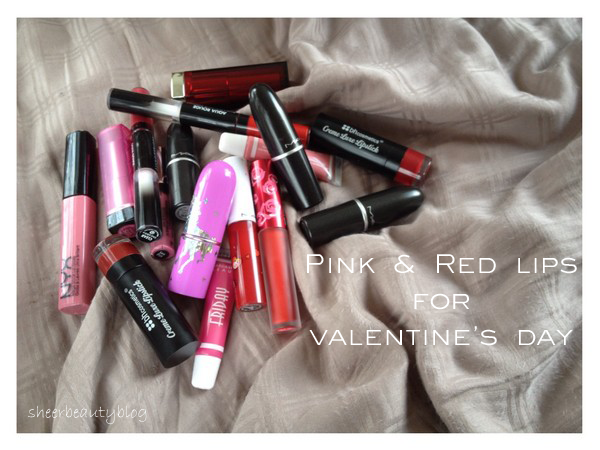 I'm personally not too much of a big fan of the Holiday but I thought I would share with you ladies some pink as well as red lip stick and lip glosses choices that you can wear for this special day with your loved one. 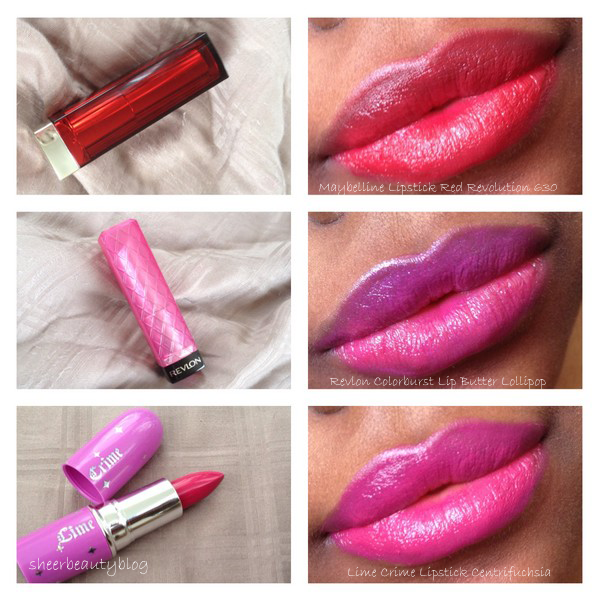 Here are some choices of red and pink lip sticks and glosses you can try out for Valentine's Day. 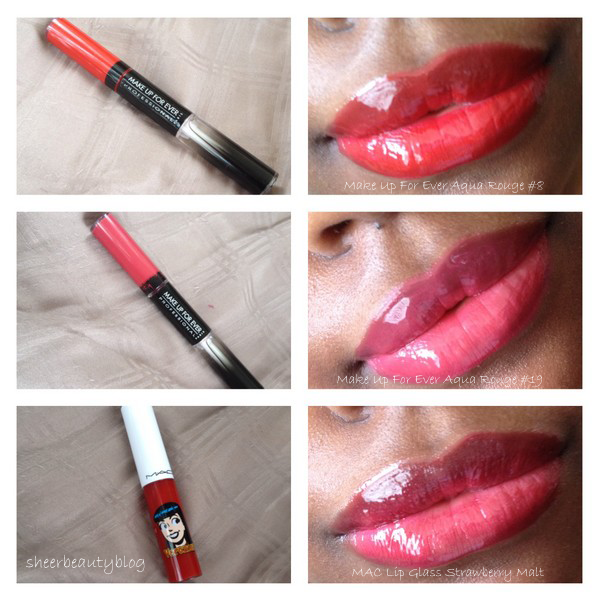 What lipstick or lip gloss will you be wearing for Valentine's Day? lovely post!! i love all the shades you have shown here the pink ones!! Love that candy yum yum! 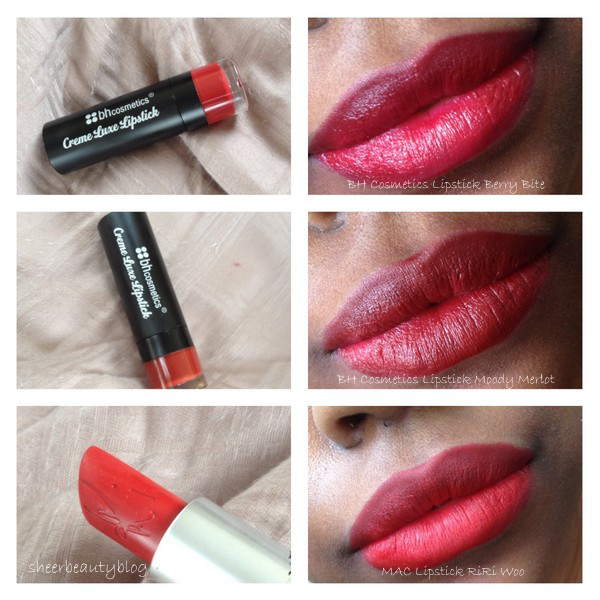 Great swatches, Riri woo looks gorgeous! I'm loving the BH Moody Merlot! Must try and find it! Great swatches. The Lime Crime Velventine looks amazing. All of these look so gorgeous! 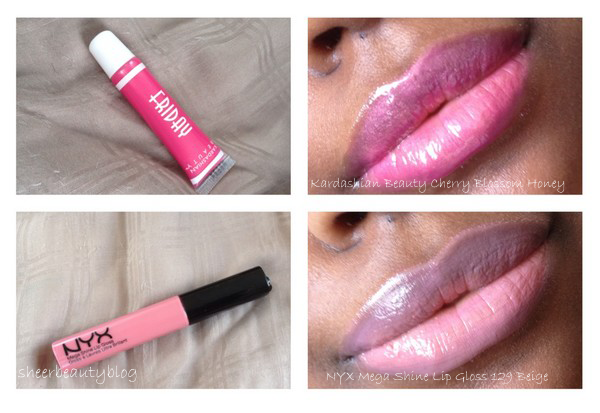 I really like Revlon Lollipop and the Nyx Beige lip gloss! great choices!! Berry Bite is my kinda color! 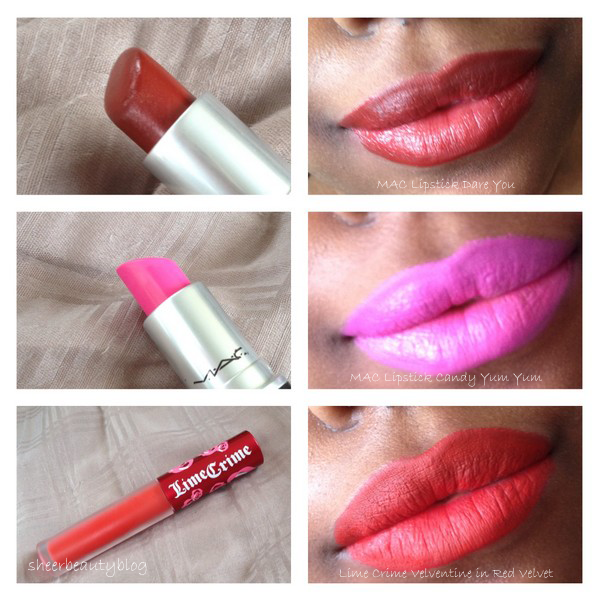 I love Mac Riri Woo! Awesome post and great swatches! I love the look of Lollipop and Centrifuschia! I still don't know what I want to wear on Valentine's day; I guess I should pick something out!! 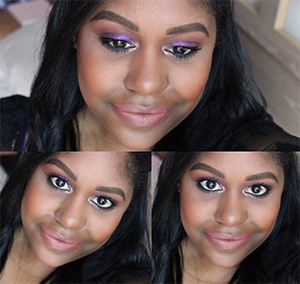 Love how the riri woo looks on you! Also that limecrime red velvet is sooo pretty! Great post. I love all the red color! 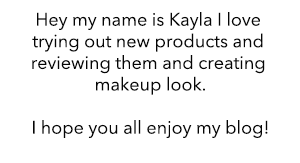 I'm loving the lip butter--ever since it came out I was a fan. The texture is amazing! Love RiRi Woo and the Lime Crime lipstick on you :) I'm not really big on Valentine's Day but I've been enjoying the Valentine's Day-themed posts popping up on my dash.